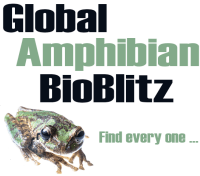 Become an Amphibian Ambassador and send us your video today! We’re inviting you to send us your story about your passion, dedication and commitment to amphibians so we can share it with the rest of the world – it’s as simple as recording a brief message using your mobile phone or video camera and sending us the video file. We’ll feature it on our web site, and on our YouTube and Facebook pages. The best videos will be featured on the homepage of our web site! Find a great backdrop for your video, maybe some great amphibian habitat. Email the video file to AmphibianAmbassadors@AmphibianArk.org and we’ll publish it. If you record your video in a language other than English, please send an English translation of your message, so we can add subtitles to your video. Remember to keep your video to 30 seconds or less – you can easily share your message in 30 seconds! To help with organizing your video, before you start to shoot it, think about your main message, remember that the audience are regular people from all over the world, and they are interested in you, your passion for amphibians, and how you are helping to save them. Oh, and don’t forget the tagline about inviting others to jump on board the AArk! If you need any further help shooting your video, we’ve put together a short list of tips and tricks in our Video Tips and Tricks document. 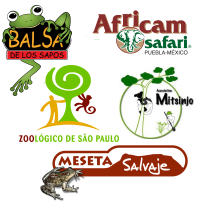 By sharing our collective contributions towards amphibian conservation, we not only raise awareness of the problems amphibians are facing around the world, but we’re letting others know how we are making a difference, and encouraging others to join us. We’d love you to join us as an Amphibian Ambassador, and please feel free to share this web page to any others you know who might like to share their amphibian conservation stories. Why not share it on Facebook? Accepted file types: avi, flv, hdv, hdmov, mpeg, mp4, mpg, mov, wmv.